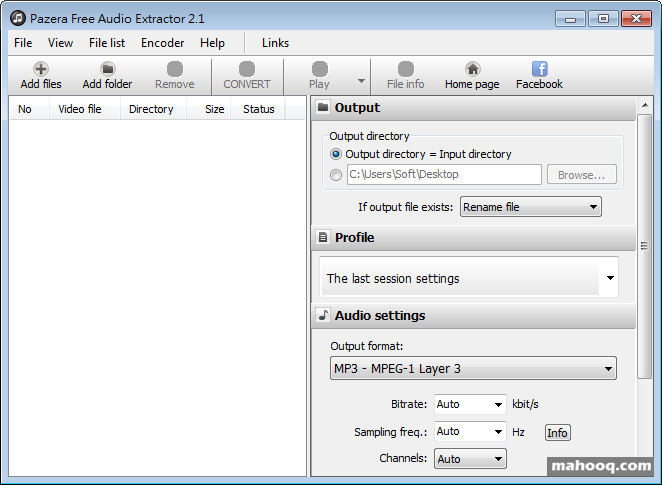 Extract audio tracks from video files to MP3, AAC, AC3, WMA, OGG, FLAC, M4A or WAV. Universal audio converter. AVI to MP3, FLV to MP3, AVI to WAV, FLAC to MP3, Ogg to MP3, SHN to MP3.